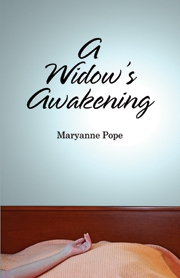 We welcome as a regular contributor to Widowed.ca, Ginette Walton. Her journey started just one year ago with the sudden loss of her husband, Bill, and using her talent of writing she shares her experiences, connecting with many who are facing similiar situations. You can share more of her journey on bforever-awidowsperspective.blogspot.com and come back regularly to read more from Ginette on Widowed.ca. After sharing a wonderful life with my husband of nearly 25 years, I find myself today widowed at 52. Bill died suddenly and on that day, my life changed, I was changed. Having been blessed with the gift of written gab, I naturally found solace in my journal where I could put in words the grief that was inside me. At a very young age, journaling also offered privacy in the middle of a large family. It was a space and a place I called my own, where I did not have to share my thoughts, where I did not have to be part of “the collective”. Not wanting to share my inner most thoughts and living in my own little world the first few months of my grief, I filled my “grieving” journal with much ink and tears. As the sun began to rise, I started to appreciate the things for which I was thankful. This gave birth to my “blessings” journal where every night, I would think about my day and write down at least one good thing. Sometimes, that was as simple as, “I got up this morning,” or on a really good day, “I did not break down in front of the grocery aisle today trying to decide which toilet paper he would have bought or the one I knew my wallet could sustain.” Then came my “hope” journal where you can read about the future. Like many widow/ers before me, I was blessed with access to the Internet. I went searching for answers in the “lived” experiences of others. I became frustrated with the many, many articles and dissertations on the stages of grief, coping strategies and what to expect. There was no connection to the pain I felt inside. While cruising the internet, I did happen to meet two young widows who were not only younger in age but also younger in their journey with grief. They were seeking what I had sought for months, a connection with someone who understood the pain. To respond to their many questions , I often found myself going back to my words in all three journals. This gave birth to my blog. A space and place where I do share my thoughts and willingly became part of “the collective”. I am a career woman, with three young men to support in their grief while going through it myself. Writing from my heart about my experiences as I journey with my grief has opened up a window on healing. I have met and continue to correspond with many other widow/ers and find myself part of a community I had never thought I would belong to at such a young age. Indeed, the membership fee is far too dear. I have used your blog in my every day work life. Although I have not suffered a loss per say, I’ve applied the concept to my patients in their time of need. What a great talent you have to be able to put into words where so many are at loss when feelings are so tender. I am proud to call you my “sister” and am privileged to have you in my life. I sometimes feel you are preparing me for life I will eventually face wether it be at work or personal issues. You are truly a hero to everyone you touch!